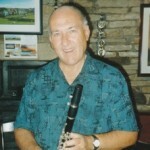 Born in Burnley in the North West of England in 1968, his dad John Brunton, a blues and jazz fanatic, and self taught musician, plays clarinet and saxophone semi professionally. 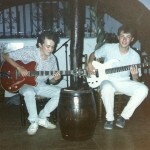 His brother John Jr. (today a professional musician in Munich) plays guitar. 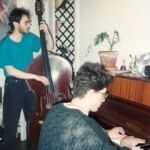 After initial tuition on clarinet and piano, Gary discovered the electric bass at 15, inspired by the sound of Jean Jacques Burnel of the Stranglers. 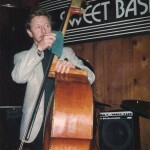 At 16 he started playing double bass and gigging in pubs and clubs locally, playing traditional jazz with his dad’s friends. 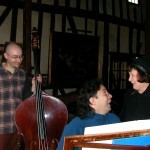 He became acquainted with more modern jazz at a workshop with guitarist Gary Boyle and bassist Jeff Clyne. 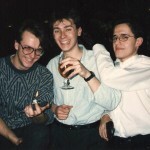 In 1986 at the age of 18 he moved to Wales to study modern languages at Swansea University. 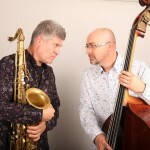 Local musicians such as saxophonist Jonathan Lewis and pianist Russ Jones introduce him to other styles of jazz. 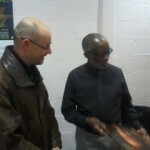 He discovers the universe of Bill Evans, and musicians such as Joe Henderson, George Mraz and Ron Carter. 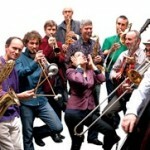 One evening at the Swansea jazz club, guitarist Martin Taylor recommends to him the idea of studying music in Paris. 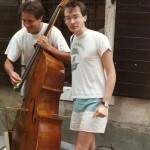 So in october 1988, he moved to Paris to study at the thriving CIM jazz school alongside other young talented musicians such as Pierre Christophe, Daniel Garcia Bruno and Bojan Zulfikarpasic. In the summer of 1989 he decided to stay in France. 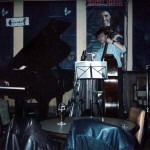 In 1990 he performed in trio at the Petit Journal Montparnasse with Chet Baker’s pianist: Michel Grailler. 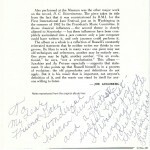 He studied briefly with Jean François Jenny Clark and met Stan Getz during a rehearsal at the CIM with Helen Merrill. 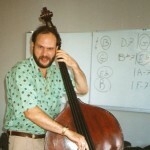 He played in Nöel Akchoté’s first quartet with Julien Lourau and François Merville then set out to meet and study with some of the greatest jazz double bassists around: A workshop with Reggie Workman in Groznjan Yugoslavia in 1989 followed by private lessons with Henri Texier, Pierre Michelot, Dave Holland, Gary Peacock and Ray Brown. 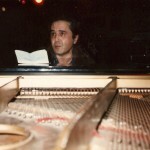 In 1991 he started classical training with Thierry Barbéin the Paris Conservatory (12th arr.) culminating in a «Fin d’études»diploma. 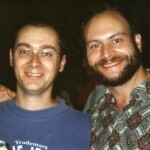 During a short stay in New York in 1992 he met George Mraz at a trio concert with Tommy Flanagan at Sweet Basil club. 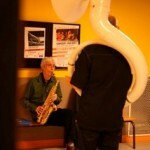 Thierry Barbé – Jazzman ! 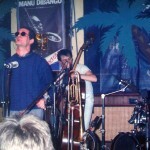 In 1993 he formed a trio with pianist Edouard Ferlet and drummer Gregor Hilbé, winning third prize for best solo in the Défense national competition.The trio expanded to become the «Upper Space Group»with Stéphane Belmondo on trumpet and François Théberge on saxophones. 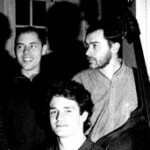 The «USG»then became the Edouard Ferlet Quintet for the recording of «Escale»with guest Mark Murphy and Simon Spang Hanssen and Claus Stötter replacing Stéphane Belmondo and François Théberge respectively. 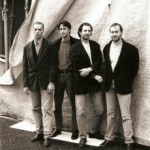 For the second album «Zazimut»François Verly replaced Gregor Hilbé(who moved to England). 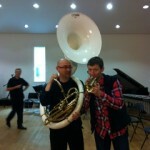 Médéric Collignon, Christophe Monniot and Laurent Thion made up the new horn section. 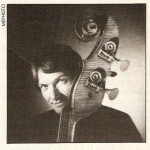 In the mid 90’s he toured Europe with «Guitar Hell», an exciting quartet with American guitarists Michael Felberbaum and Russ Spiegel and with Lyonnais Stéphane Foucher on drums. 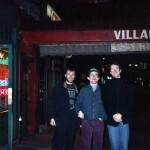 In 1997, a concert at the Instants Chavirés club featuring Mark Helias, Mark Feldman and Ellery Eskellin provoked the desire to put his own band together and to start writing music. 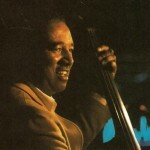 He formed a quartet with baritone saxophonist Jean Charles Richard, violinist Johan Renard and drummer Laurent Bataille. 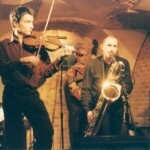 The quartet became a sextet «Brunt’Off»with the addition of Eric Löhrer on guitar and Edouard Ferlet on keyboards. 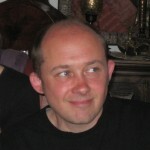 Frédéric Norel et Luc Isenmann soon replaced Johan Renard et Laurent Bataille respectively. 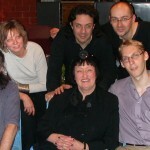 In 2002, «Brunt’Off»recorded «French Cricket» featuring singer Sandrine Deschamps. The album was nominated for an award at the annual music awards in Cannes and well received by press and musicians alike. In 2006 he was once again active on the classical scene performing works by Stravinsky and Chostakovitch in the Antony Conservatory Symphony Orchestra. 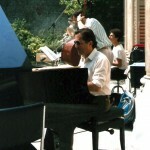 In the same year he formed a new quartet with guitarist Frédéric Loiseau, saxophonist Claudio Pallaro and drummer Andréa Michelutti. 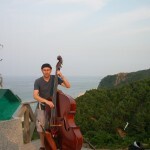 2007 took him to South Korea with singer Kang Eun Young, pianist Laurent Guanzini and Gregor Hilbéonce more. 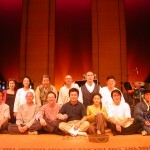 He recorded «Someday» and performed in Seoul with traditional musicians including Kim Duk Soo. 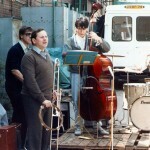 In the same year he formed the Pee Bee (leader’s initials) with Swiss/Italian saxophonist Claudio Pallaro: A large jazz ensemble, creating music collectively, and also performing with other forms of artistic expression such as dance, painters and slam poetry. The Pee Bee have recorded three albums to date: Welcome to the PB in 2009, All of us 13 in 2014 and Dolce Vita in 2017.